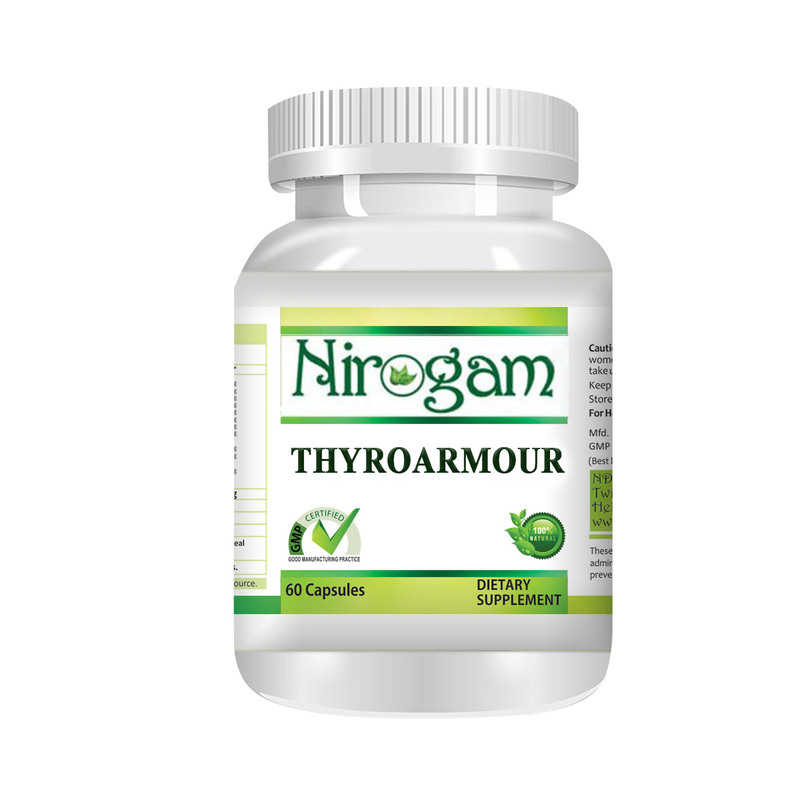 Ayurvedic Treatment for Thyroid Problem | ND Care Nirogam Pvt. Ltd. Synthetic approaches to treat "Hypothyroidism" may appear tempting, but are temporary. We do not support such dependency generating approaches for the treatment of Hypothyroidism. It may stand at the doorsteps of your life & you may not realize it until something adverse happens. Let Ayurveda naturally treat the symptoms of Hypothyroidism, which are usually misinterpreted as ageing. Ayurveda provides natural treatment which is based on Agni (internal fire) enhancement. Based on the function & site of action, Agni is broadly divided into Dhatwagni, Bhutagni, & Jatharagni. Out of these three major types, Jatharagni is considered as the most important, as it digests food & transforms it into Rasa and Mala. Thus the obtained Rasa is converted into seven different Dhatus by the Dhatwagni. In Ayurveda, the secretion of thyroid hormones is categorized under the influence of Dhatwagni. It has been mentioned in the Ayurvedic texts that the decreased amount of Agni (Jatharagni & Dhatwagni), vitiation of Kapha or Vata Dosha, & occluded Srotas (Microchannels) are the causes of hypothyroidism. On the other hand, in the case of hyperthyroidism, the elevation in the amount of thyroid hormones due to increased amount of Agni (Teekshdaya Agni) is balanced with the help of Ayurvedic herbs for hyperthyroidism. Thus the balanced Agni leads to maintain Abha (lusture), Oja (the life sap), Teja (energy), and Prana (life energy) during Ayurvedic treatment. The importance of balanced Agni has been mentioned by Acharya Shushruta in the Shloka given below. For good health, there should be balanced Doshas (bio elements), Agni (digestive fire), Dhatu (fundamental constituents), Mala Kriya (process of excretion), Prasanna Aatma (happy soul), and Indriya (sensory organs) present in an individual. We target the Mandagni to treat the thyroid naturally. The dominance of Kapha Dosha is also treated to calm its vitiation. We also focus on the treatment of Srotavrodh (blockage of micro channels of body) as a result; the associated gland gradually starts getting better nutrition through the improved levels of micronutrients. The Dhatwaagni (metabolic fire) is enhanced by using Agni Vardhak herbal combinations. Thus the gland starts working in a better way to secrete normal levels of hormones in the blood stream. While, the allopathic system recommends oral medications containing synthetic hormones which force the patients to become dependent on external sources. However, our Ayurvedic line of thyroid gland treatment is free from such medical dependencies. Thyro Armour "Ayurveda for Thyroid Problems"
Natural activation of thyroid hormones. Natural source of energy during thyroid problem. Thyroarmour has a marked edge over the allopathic treatments which focus on consumption of artificial thyroid hormones. The treatment with Thyroarmour, when coupled with the certain lifestyle changes, guided by our doctors, can help the patient lead a Hypothyroidism-free life (NON dependence). Since Thyroarmour helps in the natural production of hormones, due to which the improvement in symptoms is much more evident than the usage of synthetic treatments. Unlike the synthetic treatments, where the dosage for the patient increases with time, in most of the patients, the required dosage of Thyroarmour decreases with time, as the natural synthesis of Hormones improves in the body. Thyroarmour has the added advantage of having a unique combination of herbs that also show many positive effects on the body, like weight loss, reduction in cholesterol levels, and improvement in the functionality of the liver. The unique blend of adaptogen herbs, minerals and other nutrients like Trikatu (Compound formula), Kanchnaar (Bauhinia variegate), Methika (Fenugreek), Chandrashura (Lepidium sativum), Yavanika (Carum copticum), Kalonji (Nigella sativa), Gugglu (Commiphora wightii) provides a comprehensive answer to support healthy thyroid function and restoring body to operate efficiently at good energy levels. Do we need to stop using the allopathic treatment when we start using Thyroarmour? - No, the patient doesn't need to stop using the allopathic treatment immediately with the usage of Thyroarmour. The patient should get his hormone levels tested on the first day of starting the treatment and should continue the dosage that he is taking. Then after an interval of 2 months, the patient should get the tests repeated and once marked improvement is evident in the tests, the patient should start tapering down the allopathic treatment with the guidelines of some registered practitioner whom they are regularly visiting or by consultation with our doctors through our 24x7 helpline numbers. If we are to start with Thyroarmour and we have not yet started with any allopathic treatment, do we need to take it with Thyroarmour or it alone is sufficient? - In normal cases where there is no severe imbalance, the patient can start with Thyroarmour alone along with the recommended lifestyle changes. However, if the symptoms are very severe and the levels are highly deranged, the patient can take allopathic treatment along with our natural supplements. Is it safe to take allopathic treatment with Thyroarmour? - Since Thyroarmour is a natural combination of herbs, there is no interaction with allopathic anti-hypothyroidism treatment. Punarnava (Boerhavia diffusa): It is well known for its diuretic property to treat symptoms of hypothyroidism such as swelling etc. Ashwagandha (Withania somnifera): It is adaptogenic in nature and has free radical scavenging action. Ashwagandha naturally improves the function of gland by increasing the secretion of hormones in the blood. Guggulu (Commiphora wightii): This herb regulates the function of the gland by increasing the production of hormones, lowering inflammation, & managing cholesterol levels which is essential for hypothyroid patients. Kanchanara (Bauhinia variegata): It is immunomodulatory, anti-inflammatory, and anti-goitrogenic, it thus helps in natural treatment of thyroid problem. Ginger (Zingiber officinale): It damage the integrity of membranes surrounding the hormones in follicles and eventually release hormones into circulation. Fish oils: Being rich in omega 3 fatty acids, fish oils help in reducing inflammation and increase immunity. Fish oils are also good for increasing hormone secretion. Kelp: It is a type of sea weed that is naturally loaded with organic iodine. So consumption of kelp also helps. Yoga: The Yoga Asanas such as Sarvangasana, Halasana, Matsyasana etc. help in stretching of neck to stimulate gland. Diet: Healthy diet, rich in dietary fibers/whole grains, should be taken. Avoid refined sugar & caffeine.